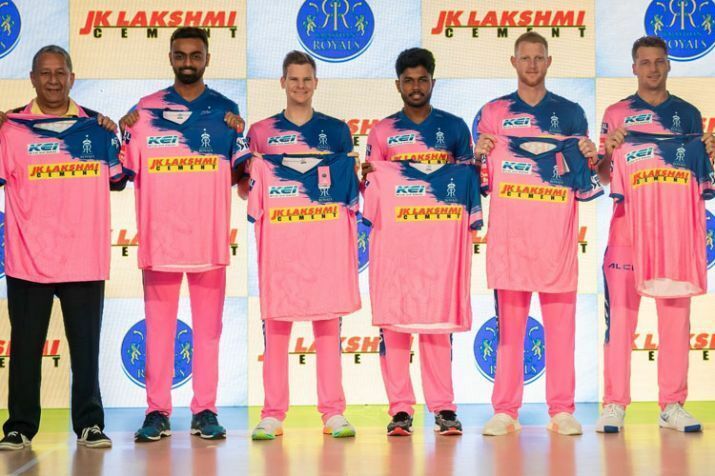 Rajasthan Royals after making a come back last year, revealed their new jersey on Friday for the upcoming 12th edition of the Indian Premier League. 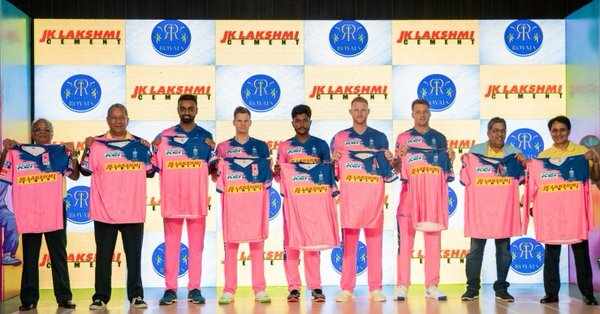 The likes of Jaydev Unadkat, Sanju Samson, Ben Stokes, Steve Smith and Jos Butler were seen sporting the new look pink jerseys in an event organized in Jaipur on March 22. JK Lakshmi Cement will be the title sponsors for Rajasthan Royals for the second consecutive season. They changed the colour from blue to pink. The team will be captained by Ajinkya Rahane. The Royals will start their their IPL tournament on March 25 at Sawai Mansingh Stadium in Jaipur against Kings XI Punjab. In the year 2018, they had qualified for the playoffs with a famous win over the Royal Challengers Bangalore but their tournament was ended by the Kolkata Knight Riders in the eliminator. Steve Smith who was banned from last year’s IPL due to his involvement in ball tampering scandal in South Africa is welcomed back. Rajasthan in the previous edition were seen in pink jersey for one match to raise awareness for breast cancer. In the 2008 edition they were crowned champions where they defeated Chennai Super Kings in a last ball thriller. England hard hitting wicket keeper Jos Butler had a superb season with the bat for the Royals last year, where he amassed 548 runs in 13 matches. The franchise would be hoping for a similar kind of performance this time as well.